Kaveh has been a lower mainland resident since 2003, and is passionate about this city and what it has to offer. 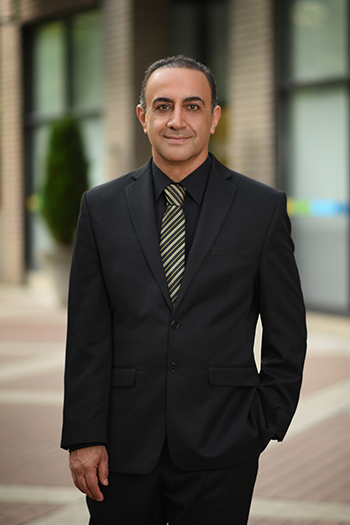 After obtaining his Bachelor of Science Degree in Industrial Engineering, Kaveh went on to develop a career in sales and marketing that has spanned over 25 years, both here at home and internationally. He has worked to develop strong negotiation skills, has cultivated positive relationships with investors abroad, and has managed sales transactions on all levels of the business spectrum. With a strong knowledge in System Marketing Analysis, Kaveh is able to provide his clients with a wide range of tools to help them reach their desired goals. Kaveh believes in working with a solid network of professionals to get the job done. Most importantly, he always focuses on making the transition for his clients as smooth and stress free as possible by getting to know them and doing everything he can to meet their needs.